Each year Pine Street Carpenters and The Kitchen Studio provide over 100 new bicycles to deserving children in the region. 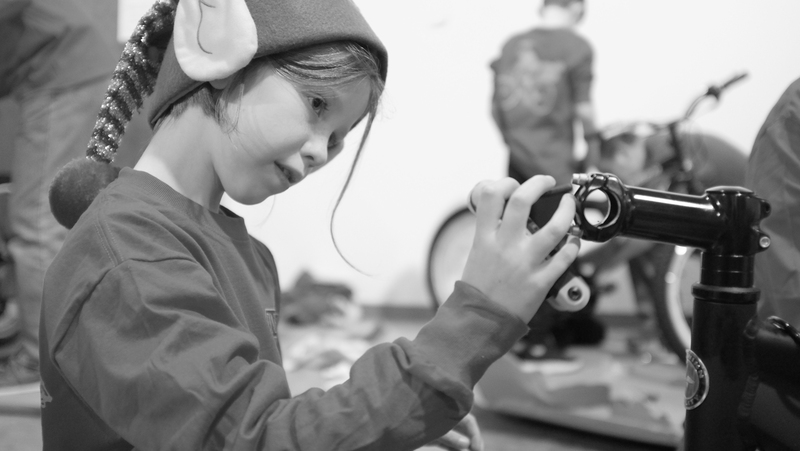 It’s called our “100 Wheels Project,” and since the community initiative started in 2008, we’ve been able to build and donate 845 to local children. Our 11th Annual 100 Wheels Project bike-build will be held on December 6, 2018, here at Pine Street. We invite you to join us! For complete details and to find out how you can support “The 100 Wheels Project,” please visit www.bikebuild.org.